THE INSTITUTION OF THE SACRAMENTS OF THE HOLY EUCHARIST AND OF HOLY ORDERS. 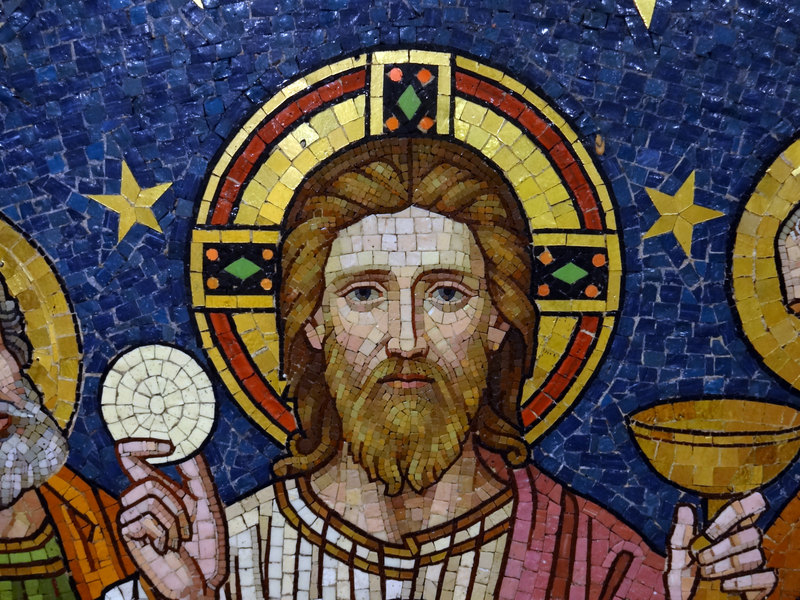 “THIS IS MY BODY…THIS IS MY BLOOD.” THE EUCHARIST IS THE FLESH AND BLOOD OF CHRIST. “DO THIS IN MEMORY OF ME.” CHRIST GAVE THE APOSTLES AND THEIR SUCCESSORS THE POWER TO PERFORM IT. “POURED OUT FOR MANY FOR THE FORGIVENESS OF SINS”: THE MASS AS THE ATONING DEATH OF CHRIST FOR ALL MEN. “IN PERSONA CHRISTI”. 3. and the commandment of the Lord concerning fraternal charity. Jesus chose the time of Passover to fulfill what he had announced at Capernaum: giving his disciples his Body and his Blood. The Gospel of St. Matthew recounts the Institution of the Sacrament of the Holy Eucharist. “26 Now as they were eating, Jesus took bread, and blessed, and broke it, and gave it to the disciples and said, ‘Take, eat; this is my body.’ 27 And he took a cup, and when he had given thanks he gave it to them, saying, ‘Drink of it, all of you; 28 for this is my blood of the g covenant, which is poured out for many for the forgiveness of sins. 29 I tell you I shall not drink again of this fruit of the vine until that day when I drink it new with you in my Father’s kingdom.’” Mt 26: 26-29. 1. “THIS IS MY BODY…THIS IS MY BLOOD.” THE EUCHARIST IS THE FLESH AND BLOOD OF CHRIST. This sacrament, which not only has the power to sanctify but actually contains the very Author of Holiness, was instituted by Jesus Christ to be spiritual nourishment of the soul, to strengthen it in its struggle to attain salvation. The Church teaches that it also confers pardon of venial sins and helps the Christian not to fall into mortal sin: it unites us to God and thereby is a pledge of future glory. 2. “DO THIS IN MEMORY OF ME.” CHRIST GAVE THE APOSTLES AND THEIR SUCCESSORS THE POWER TO PERFORM IT. In instituting the Blessed Eucharist our Lord laid down that it should be repeated until the end of time (cf. 1 Cor 11:24-25; Lk 22:19) by giving the Apostles the power to perform it. From this passage, and the accounts in St Paul and St Luke (loc. cit. ), we can see that Christ also instituted the priesthood, giving the Apostles the power to confect the Eucharist, a power which they in turn passed on to their successors. Through transubstantiation the unleavened bread and the fruit of the vine disappear, becoming the body, blood, soul and divinity of Jesus Christ. Christ’s real presence is to be found also in any little particles which become detached from the host, or the smallest drop from the chalice, after the consecration. It continues when the sacred species are reserved in the tabernacle, as long as the appearances (of bread and wine) last. 3. “POURED OUT FOR MANY FOR THE FORGIVENESS OF SINS”: THE MASS AS THE ATONING DEATH OF CHRIST FOR ALL MEN. “IN PERSONA CHRISTI”. The expression, “which is poured out for many for the forgiveness of sins” is the fulfilment of the prophecies of Isaiah (chapter 53), which spoke of the atoning death of Christ for all men. “The priest offers the Holy Sacrifice in persona Christi; this means more than offering “in the name of” or “in the place of” Christ. In persona means in specific sacramental identification with the eternal High Priest who is the Author and principal Subject of this sacrifice of his, a sacrifice in which, in truth, nobody can take his place. Only he – only Christ — was able and is always able to be the true and effective ‘expiation for our sins and . . . for the sins of the whole world’ (1 Jn 2:2; cf. 4:10)” (John Paul II, Letter to all bishops, on the Eucharist, 24 November 1980). 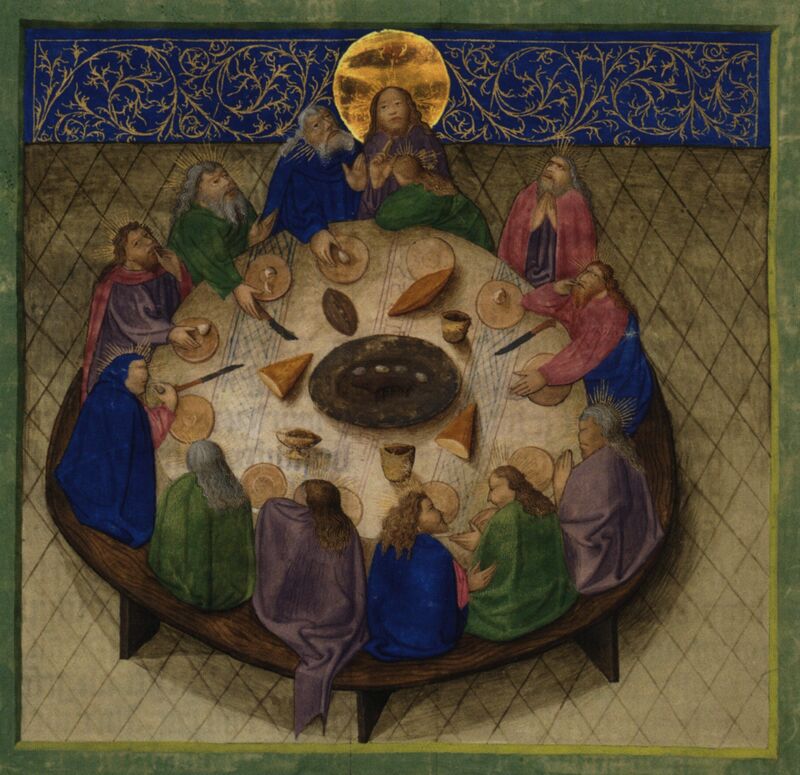 Dear friends, Holy Thursday is a great day to contemplate Jesus’ immense love for each one of us especially in the Sacraments of the Holy Eucharist and of Priestly Orders. Let us not forget that love requires correspondence and reciprocity. Let us also examine ourselves if our love for God and for those around us is one which is humble and self-forgetful; a love which knows how to give one’s self and to serve the others; a love which seeks union and intimacy with the Beloved. Dear Jesus, make our love the same as Thine! Take care of your priests and send us more priestly vocations with a heart that is same as Yours! Cordially inviting you to like in www.facebook.com/CatholicsstrivingforHoliness and share our posts to help more people in their Catholic faith and life. Thanks! Fr. Rolly Arjonillo.